Vietnam and Poland are expected to sign several co-operation deals this week to beef up their investment and trade ties, which are on an uptrend at the moment. Polish President Andrzej Duda will pay a state visit to Vietnam during November 27-30. Duda will have bilateral talks with his counterpart Tran Dai Quang, who invited him to Vietnam, and have meetings with Party General Secretary Nguyen Phu Trong and Prime Minister Nguyen Xuan Phuc. The two sides are expected to discuss various issues, with a focus laid on measures to strengthen the two countries’ trade and investment co-operation, which is strongly rising, despite the current humble figures. The two countries are expected to sign bilateral co-operation deals in the sectors of education and training, investment, environment, finance and banking, and agriculture. During this visit, many Polish businesses will also come to Vietnam to seek investment opportunities in their primary areas of business, such as waste treatment, food processing, green technology, mining and mining equipment manufacturing, medical equipment, and shipbuilding. Polish firms also want to avail themselves of the advantages from the free trade agreements that Vietnam has and will ink with foreign nations to boost their exports. A Vietnamese-Polish economic forum will see these businesses meet with Vietnamese partners during the visit, which will also witness the launch of the Poland Investment and Trade Office in Ho Chi Minh City. The Polish government has identified Vietnam as one of the six key markets of Poland. In particular, Vietnam is expected to become a bridge for Polish firms to penetrate the Southeast Asian market of over 630 million people. As of October 2017, Poland had 14 valid investment projects in Vietnam, registered at nearly $183 million. Within 2014-2017, the Polish-Vietnamese investment co-operation doubled, largely focusing on the sectors of real estate (Euro Vietnamese Village), processing (VIFON), and services (Halong Plaza). Vietnam currently has only four valid investment projects in Poland, registered with $5.1 million, focusing on the fields of services and foodstuff. These projects include a Vinamilk’s $3-million Vinamilk Europe, which specialises in trading agricultural materials and milk products. At present, Poland is Vietnam’s largest trading partner in the East-Central European region, while Vietnam is Poland’s seventh largest trading partner outside the EU. Bilateral trade turnover rose from $650 million in 2010 to $761 million in 2015 and $790 million last year. In the first nine months of this year, the figure was $730 million. The figure is expected to hit about $1 billion throughout this year. Vietnamese exports to Poland include garments and textiles, aquatic products, rice, coffee, pepper, confectionery, mobile phones, and electronic items, while imports from this nation are powdered milk, pharmaceutical products, fruit, and equipment for the coal and shipbuilding sectors. Vision Transportation Group (VTG) from Canada proposed the government to develop the urban railway project linking Noi Bai International Airport with the West Lake area under the public-private partnership (PPP) model, according to information published on the Government Portal. In the framework of the meeting with Deputy Prime Minister Trinh Dinh Dung, VTG chairman Richard Courey submitted the overall report on the method to develop the project, the technology to be used, the investment schedule, as well as a number of proposals to the government. The deputy prime minister asked VTG to work with the Hanoi People’s Committee, ministries, and relevant authorities to study investment procedures as well as the proposal before submitting a detailed report to the government. DPM Dung also proposed VTG to study other railway infrastructure projects, especially the North-South Express Railway project. The urban railway project linking Noi Bai with the West Lake area is one of ten urban railway projects approved by Prime Minister Nguyen Xuan Phuc to develop in Hanoi under the capital’s transport scheme until 2030 with a vision towards 2050. In the 2017-2020 period, Hanoi has found investors to develop four railway routes, namely Noi Bai International Airport-South Thang Long (18 kilometres), Thuong Dinh-2.5 Ring Road-Buoi (7km), Van Cao-Hoa Lac (38.4km), and Nhon-Troi-Dan Phuong (5.9km). At present, five domestic investors and two foreign investors have registered to invest in Hanoi’s urban railway projects. These seven investors are Vingroup, Xuan Thanh Corporation, Lung Lo 5 Company, Tan Hoang Minh Group, Licogi Company, and MIK Group JSC, Lotte Group from Korea and OJSC Mosmetrostroy from Russia. Hanoi currently has four urban railway routes, two of which—Ngoc Hoi-Yen Vien and Cat Linh-Ha Dong—are invested by the Ministry of Transport. The remaining two—South Thang Long-Tran Hung Dao and Nhon-Hanoi Railway Station—are invested by Hanoi authorities and are currently under construction. Canadian-based VTG is a master developer of infrastructure projects specialising in development and implementation under the models of private investment (PI) and public-private partnership (PPP). Since 1992, VTG has been involved in more than 165 major infrastructure projects with a total investment capital sum of $35 billion in 42 different countries. Citi Vietnam today introduced Citi Simplicity+, the first credit card in the market to provide 10 per cent interest back for on-time payments and no late payment fees. As a special introduction, Citi Simplicity+ comes with a 0 per cent annual interest percentage rate for the first three months. “The launch of Citi Simplicity+ provides peace of mind to customers in the form of a credit card, which is simple yet extremely convenient. Also, this card allows us to show our appreciation to our customers who pay their bills on time by giving them 10 per cent interest back,” said Natasha Ansell, Vietnam Citi country officer. Additional Citi benefits on the card include “0 per cent Paylite,” a feature which allows customers to easily convert high value card transactions into 12 monthly installments at no extra cost, and partner offers, such as deals at Starbucks, CVG cinema, and discounts at many others. “In line with the needs of today’s customers, Citi Simplicity+ is an innovative card that helps to simplify the banking experiences of our card members. Citi Simplicity+ is evidence of Citi Vietnam’s commitment to constant progress and to maintaining our position as the country's leading provider of banking products that cater to different lifestyles,” added Ansell. The rapid evolution of urban society in Vietnam provides Citi with the opportunity to grow its portfolio of first-rate banking products for those who live busy lives pursuing a variety of activities. This simple and straightforward card offers savings and convenience, backed by the global Citi brand. Cardholders are empowered to take charge of their card repayment through increased transparency, flexibility, and control. From the latest two divestments from Saigonbank and CFC, Vietcombank earned a total of $15 million, stepping up among the top 48 most profitable financial institutions across Asia. In late October, the State Securities Commission of Vietnam (SSC) issued the share-selling licence to Joint Stock Commercial Bank for Foreign Trade of Vietnam (Vietcombank) which permitted the bank to divest a bulky estimation of 19.8 million shares from Saigon Bank for Industry and Trade, Saigonbank and Cement Finance Company (CFC). On November 20, the bank (under ticker VCB) withdrew 13.2 million shares (4.3 per cent stake) from Saigonbank at the base price of VND12,550 ($0.55) and 6.67 million shares (10.9 per cent stake) from CFC at the base price of VND11,549 ($0.51). Regarding the participants of the Saigonbank share transaction, 20 investors (19 individual investors and one corporate investor bought 53.8 million shares, which roughly quadrupled the initial offered volume. The bid price was VND20,100 ($0.88) and the ask price was VND12,550 ($0.55) per share. At the end, VCB earned over VND266.3 billion ($11.7 million) which exceeded the initial estimated earnings by VND100 billion ($4.4 million). Regarding the purchasers of the CFC share sale, nine individual investors acquired 6.67 million shares, which exceeded the initial offered amount by a single per cent. The bid price was VND11,560 ($0.51) and the ask price was 11,550 ($0.51) per share. Via the transaction, VCB gained a total VND76.2 billion ($3.3 million). After finishing the transaction, Vietcombank was estimated to have made a total of $15 million on the two divestments. Previously, Nghiem Xuan Thanh, Vietcombank’s chairman of the board of directors, noted the bank would proceed with the divestment of Saigonbank, CFC, and Orient Joint Stock Commercial Bank (OCB) as part of the bank’s end-of-the-year plan. He also highlighted that VCB expected to divest a total of VND300 billion ($13.2 million) from the three aforementioned financial institutions with no sign of financial loss by the end of 2017. Thanh added the bank had planned to divest an estimated VND1 trillion ($44 million) in Military Commercial Joint Stock Bank (MB) and Vietnam Export-Import Commercial Joint Stock Bank (Eximbank) in January, 2018. 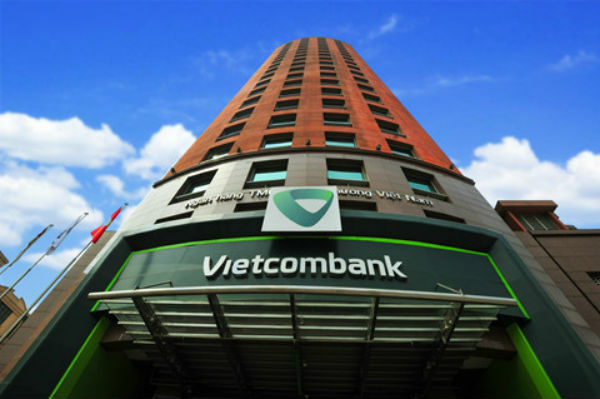 Vietcombank has earned a solid standing in the financial intermediary environment of Vietnam by leading the country in terms of profitability and being the 48th most profitable financial institution in Asia. CFC is a Vietnam-based financial institution, specialising in mobilising funds in the money and capital market, investing, and trading on the money, bonds, and securities markets as well as providing funds with foreign exchange and other financial advisory services. CFC was founded in 2008 with the initial charter capital of VND300 billion. Saigon Bank was one of the first commercial joint-stock banks, founded in Vietnam in 1987 with an initial charter capital of VND650 million, specialising in serving a great pool of clients ranging from individuals, joint ventures, enterprises in industrial processing zones on the basis of its high-tech banking platform. Housing Development Bank (HDBank) will offer 20 per cent of its shares to foreign investors at its initial public offering (IPO). According to Reuters, the IPO is expected to be conducted in November, however, HDBank has yet to disclose the official date. Unlike other lenders in Vietnam, the bank does not seek a single strategic investor who would normally hold 15 per cent of the shares. Instead, it will court four overseas investors, offering less than 5 per cent of ownership to each. At present, numerous foreign investors from Hong Kong, Japan, and South Korea expressed interest in becoming HDBank’s foreign investors. The pre-listing share sale is expected to raise $300 million for the bank, which counts Vietnam’s first female billionaire Nguyen Thi Phuong Thao as its major shareholder. After completing the auction, HDBank said that it would list on the Ho Chi Minh City Stock Exchange in early 2018. HDBank reported bright business results. For the first nine months of 2017, HDBank reaped VND1.91 trillion ($84 million) in pre-tax profit, of which the parent bank earned VND1.7 trillion ($74.8 milion). This result, which is 1.5 times higher than the entire year of 2016, marked the bank’s highest achievement so far. Assets under management reached VND174.5 trillion ($7.6 billion), a 26-per-cent increase from the same period last year. Bad debt takes up less than 1.14 per cent of all outstanding loans. HDBank’s return-on-assets ratio is 1.18 per cent, while returns-on-equity stood at 18 per cent as of the third quarter of 2017. On November 21, Hanwha Life Insurance Co., Ltd. (Hanwha Life Vietnam) officially launched the new insurance package called “Health is Wealth” in Ho Chi Minh City, with the intent of delivering optimal insurance services to promote individuals and households’ overall well-being in Vietnam. The “Health is Wealth” insurance package was created to provide insurance coverage, including healthcare benefits against accidental incidents, for registered customers. As informed by the company’s representative, the “Health is Wealth” package targets to provide residential and outpatient treatments, payment guarantee for hospitalisation, as well as various insurance options offered at a reasonable cost. The insurance package will be promoted across Asia and, later on, on a global scale. Thanks to Hanwha Life Vietnam’s co-operation with Insmart Co., Ltd. (an insurance and healthcare provider), registered customers could gain access to medical institutions in Asia or anywhere else in the world (except for the US and Canada). Regarding the benefits provided by the package, the insured customers are given assistance to minimise the medical charges in case of unfortunate incidents. For instance, with the in-patient treatment, the firm committed to help the package’s registrants to diminish the fees of hospital stay (for patients and the patient’s caregivers), special care, daily health examination, pre-hospitalisation treatment, after-discharge treatment, in-home medical services, surgery, accident-related emergency treatment, traumatic dental injuries, domestic ambulance, day treatment, and physiotherapy, among a whole range of other services. Additionally, subscribers could expect Hanwha Life Vietnam to help out with cancer treatment fees, including radiation therapy, chemotherapy, surgery, and organ transplant. Talking about the new insurance service, Back Jong Kook, chairman and general director of Hanwha Life Vietnam, noted that the demand for healthcare and personal savings plans for potential future health-related issues has been substantially increasing among the younger generations of Vietnam, especially with the increasing likelihood of critical health conditions. He also added that the key objective of the insurance package was to reinforce the firm’s vision of elevating the standards of wellness after the firm successfully launched the insurance package “Family is Everything” in Vietnam three years ago. Earlier this year, Hanwha Life Vietnam provided financing to poor people in eight provinces and cities across the country with over 9,500 health insurance cards in March. The total sponsorship was estimated at VND2 billion ($88,000). Hanwha Life Vietnam, a branch company under the management of Hanwha Group, is one of the leading life insurers in South Korea with a diverse business portfolio comprising of services tailored for each customer. The insurance firm’s products vary from guaranteed education plans, health and pension insurance packages, to savings and investment plans. The ratio of non-performing loans in the real estate sector has dropped significantly since 2013, according to the State Bank of Việt Nam’s Credit Department of Economic Sectors. The central bank would continue to control credit flow into the property sector. The Ministry of Construction has asked the people’s committees of Ha Noi and HCM City to report existing disputes between buyers and developers at apartment projects before the end of this month. The report would then be submitted to the Prime Minister as the basis to implement solutions to tackle these problems. From the beginning of this year, disputes between buyers and developers at apartment projects have been mounting in the two major cities, specifically related to projects’ progress, services fees, maintenance fees and construction quality, as well as the use of shared areas, house ownership certificates and selection of the management board. Previously, the Prime Minister said appropriate solutions must be raised to tackle disputes. Long An Province, which produces about 215,000 tonnes of dragon fruit every year, is aiming to increase its exports of the fruit by using state-of-the-art technology to develop 2,000ha of new growing land in Châu Thành District. Most companies buying the fruits for export have contracts with export companies in Bình Thuận Province and HCM City. On November 24, European Chamber of Commerce in Vietnam (EuroCham), in collaboration with EU-Vietnam Business Network (EVBN), hosted EuroCham Central Vietnam Business Forum (ECV Business Forum) 2017 in the central city of Danang. This is the second time this event has been organised in the city. More than 70 participants from a multitude of sectors gathered at the event, including economists, governmental officials, media organisations, and diplomats. The forum was co-sponsored by Savills Vietnam, NS Blue Scope, and Green Shoots International School, with support from KPMG. At the event, experts and officials covered cross-cutting business topics from a site-specific perspective, including investment practices, tax incentives, local talent management, real estate development, green building, and smart cities. Aymar de Liedekerke Beaufort, CCO of BNP Paribas Vietnam and EuroCham Executive Committee Member, opened the event and officially launched EuroCham’s new project, the Greenbook and the Greenbook website (www.greenbookvietnam.com). The two platforms aim to be the ultimate portal on green business in Vietnam. After Aymar’s opening remark, Phuc Nguyen, director at KPMG, delivered content related to the economic outlook for Central Vietnam, as well as tax incentives for businesses and investors in the area. Also at the forum, EuroCham announced three representatives of EuroCham in Central Vietnam for the tenure of 2018. These representatives will be responsible for co-ordinating activities in the region. “ECV Business Forum is a good example of how companies with an interest in important projects can ask questions directly from the investment authorities in cities and provinces, while also being able to establish contacts for future partnerships. I am happy with the success of this event, and I am certain that it will continue to grow every year,” he said. The 15th Vietnam Expo 2017 in Ho Chi Minh City will take place from December 6 to 9 at the Saigon Exhibition and Convention Center (SECC) in District 7. Building upon the successes gained over its fourteen years, the expo will provide a venue for local and international businesses to exchange opportunities and further trade and investment. Vietnam is considered a market of potential in ASEAN, with long-term prospects for growth through an improved business environment and greater participation by private investors in GDP growth. The country has signed or is negotiating 16 free trade agreements that will help it integrate more deeply into the global economy. Vietnam Expo celebrates its 15th holding by organizing the largest exhibition to date. Organizers said that in 2015 there was 320 businesses and 520 in 2016, while 750 will attend this year, in 800 pavilions from 16 countries and territories such as India, Taiwan, Germany, South Korea, Indonesia, Malaysia, the US, and China. The expo was attended by 11,650 customers last year and thousands of agreements were concluded. Showcasing a diverse range of products, the expo is a good platform to introduce new products and seek partnerships, with customers providing feedback on market consumption at the 800 pavilions in different categories, including electronics and electrical appliances, tech devices, equipment and accessories, manufacturing machinery, construction materials, tools and hand tools, interior and outdoor décor, food and beverages, and cosmetics. There were 890 registrations on the expo’s website, e-newsletter, and fanpage, of which 65 per cent are from the UK, the US, Portugal, Russia, Slovakia, Belarus, and Asia. Vietnam Expo in Ho Chi Minh City is honored to welcome more than 140 enterprises from South Korean trade promotion organizations, including the Gyeonggido Business & Science Accelerator (GBSA), the Daejeon Business Agency, the Suwon Chamber of Commerce and Industry, the Incheon Business Information Technopark, the Korea Institute of Startup and Entrepreneurship Development, and the Daegu Technopark Sports Support Center (Daegu Technopark Sports Support Center). For the first time, a group of famous South Korean universities will be in attendance: SunChon National University, Chosun University, Jeonju University, Chungbuk University Chungbuk National University, Korea National University of Transportation, Hannam University, and Hoseo University. The Korea Pavilion covers 1,260 sq m.
Though South Korean traders already have an extensive presence in Vietnam, they expect more opportunities will be created through business matchmaking programs at the expo. FDI from South Korea has tripled since 2012, to $50 billion, making it the leading investor in Vietnam. Bilateral trade doubled, to $42.8 billion, primarily in processing, manufacturing, information and communications, and real estate. Leading FDI recipients in Vietnam are Hanoi, Ho Chi Minh City, Hai Phong, and southern Dong Nai and Binh Duong provinces. This year marks the 25th anniversary of diplomatic relations being established between Vietnam and South Korea, with the numerous achievements reached contributing to development and cooperation in the region and the world at large. One-hundred and forty South Korean enterprises will introduce new products and services based on advanced technology, to bolster bilateral trade to $100 billion in 2020. The Taiwan Trade Center Inc., (TAITRA), which is also a sponsor, will present well-known products at the Taiwan Pavilion in an attempt to promote trade among producers and traders. Taiwan has made ceaseless efforts to promote research and development (R&D), with the aim of achieving the highest level of quality and environmentally-friendly products, such as bottle hooks, water bottle racks, mousetraps, and insect traps, as well as useful solutions in daily life such as customized desks for students and offices, luggage, water heaters, fruit washers, R.O water purifiers for the home or industry, towels, pet food and accessories, unique and creative jigsaw puzzles for kids, and tools. Visitors can also learn more about pain therapy studies and beauty care treatment with natural medicines and cosmetics. With 60 years in the cosmetics business, Thorakao has become known as a brand that operates under the old ways of doing business. Despite foreign cosmetics brands launching large-scale marketing campaigns, Thorakao has for many years continued to put too much focus on researching production. It has seen varying levels of success and failure in the domestic market over the years but expects to retain its current market share despite the competition becoming tougher. The Lan Hao Cosmetics Limited Company, which owns Thorakao, was well-known by Saigonese in the 1960s and was founded by a Vietnamese family who worked in the traditional medicine field for many generations. After succeeding with exports, Lan Hao returned to the domestic market and recorded turnover growth of 20 per cent in 2010 and then 35 per cent in 2016. “The returns are a good sign,” said Mr. Le Quoc Vinh, Chairman and CEO of Le Invest (Holdings) Corp. Similarly, Mr. Bui Minh Tuan, a local marketing expert, said the company hasn’t focused on branding or building emotional attachment among customers. It hasn’t made any branding efforts but has increased its sales in the past. Lan Hao has defined Thorakao’s products as natural and is trying to lead in creating new products that stand out from others in the market, according to the company’s Deputy Director of Business Development Mai Tan Dung. “Quality is the basic value of Lan Hao, as the company started with a traditional family,” said Mr. Tuan. As product quality is relatively homogenous and not especially notable, emotional attachment among customers makes a difference to the competitiveness of a brand, according to Mr. Vinh. Recognizing that a weakness for Thorakao is its packaging, Mr. Dung said that improving this would increase production costs and limit its approach to a number of consumers. But packaging is an important part of the customer experiences, according to Mr. Vinh. Thorakao’s strategy aims at rural customers, an area large foreign cosmetics brands haven’t focused on. Rural areas account for 65 per cent of the total population and 55 per cent of domestic trade turnover. Lan Hao should rapidly extend in the market and apply competitive strategies and tactics in the mid and long terms, Mr. Tuan said, as global giants are also turning strongly towards the rural market. The rural market is now being impacted by new trends and brand loyalty is low. With better living conditions and access to information reaching levels seen in urban areas, demand in rural areas will be more advanced. “If Thorakao’s branding remains in the old style, it will be hard for it to hold on to its markets,” Mr. Vinh said. With total cosmetics turnover standing at VND26 trillion ($1.1 billion) in 2015 and 20 million women in Vietnam being aged from 16-39 representing major potential, competition in the industry will become tougher and correct strategies in marketing and branding must be adopted. Developing sales networks in key locations, increasing coverage and displays as well as promotional programs for shoppers would help the company, according to Mr. Tuan. Lan Hao is now also investing in online channels to expand its customer base. According to Mr. Vinh, however, while the channel has developed strongly in urban areas, Thorakao’s targeted customers are in rural areas. The online cosmetics business also relies heavily on brand loyalty. “Brands must build an online community through changing their marketing strategies and creating interaction with consumers,” he said. Brand repositioning is an issue Thorakao should seriously consider. Its brand value relates to heritage, which very few Vietnamese brands can rely on, Mr. Tuan said, and its production quality over its 60-year history needs to be incorporated into its brand attributes. Lan Hao is currently negotiating with a Japanese partner and expects to make use of technology in materials processing. But, according to Mr. Vinh, it needs a strategic partner rather than a financial investor, to make a breakthrough in terms of brand strategy. “HUST is pleased to partner with a global corporation that is on the cutting edge of digital technology,” said Professor Hoang Minh Son, President of HUST. The collaboration between HUST and Siemens dates back to 1996, which was only three years after the establishment of Siemens’ official operations in Vietnam. Siemens helped HUST establish an Automation Training Center and since then has donated a range of automation equipment and different types of software to the university, including SIMATIC PLC and Siemens PLM software such as Tecnomatix software - a best-in-class digital manufacturing solution, NX software - a comprehensive digital product development solution, and software for simulation and planning of power grids (SINCAL). Siemens has also supported HUST in training kits, curriculum development, technical workshops for teachers and students, career talks, and much more. The MPOS Vietnam Technology JSC has officially launched its QR code mobile payment solution that allows more than 3,000 retailers to integrate QR payments into devices accepting the MPOS technology. The payment solution is based on EMVCo’s international standards and allows retailers to use one QR code to accept payments from mobile applications on mobile devices activating the QR code. Mr. Nguyen Huu Tuat, General Director of MPOS Vietnam, said the QR payment solution of Visa will promote e-commerce payment transactions as well as mobile payment services and delivery and charging at home. The idea of applying QR codes for electronic payments brings huge benefits to consumers, businesses, and banks during the boom in mobile technology. In China, QR code payments are available everywhere. The Monetary Authority of Singapore (MAS) said in August it would develop a QR code payment system for country. Thailand has adopted EMVCo’s QR standards and other countries in Southeast Asia are standardizing QR ecosystems to promote electronic payments. In Vietnam, some banks and electronic wallets have developed QR code payment methods. Closed payment solutions remain but are incompatible with other networks or force accepting units to use different QR codes. This is both annoying and confusing for users. The MPOS Vietnam Technology JSC is the first in Vietnam and Southeast Asia to provide Mobile POS solutions. Shipping lines, cargo agents and freight forwarders will have to use digital signatures from January 1, 2018 when they make customs declarations through the single national portal. According to Document No.7392 issued by the General Department of Vietnam Customs, shipping lines, cargo agents and freight forwarders are required to register and authenticate their digital signatures no later than December 15, 2017. According to the customs, the use of digital signatures on customs declaration forms will simplify customs procedures and thus help businesses save time and money. The revised Law on Credit Institutions, passed by the National Assembly on Monday, prohibits bank leaders from taking up senior positions at other businesses, VnExpress online newspaper reports. Board members, general directors and directors of credit institutions cannot hold top executive posts at other businesses. The general director and deputy general directors of a bank are not permitted to sit on the board of another bank unless the latter is a subsidiary of the former, according to the amended law, which will take effect on January 15 next year. This means those bank leaders holding leadership roles at other banks or companies will be affected by the law. In reality, many bankers are holding senior positions at both a bank and an enterprise, such as Do Quang Hien who now serves as chairman of both SHB and T&T Group, Vu Van Tien who is chairman of both ABBank and Geleximco, and Nguyen Thi Nga who is chairwoman of both SeABank and BRG Group. Others include TPBank and DOJI Group chairman Do Minh Phu, and Viet A Bank and Viet Phuong Investment Corporation chairman Phuong Huu Viet. Le Minh Hung, governor of the State Bank of Vietnam, said last Friday the amended Law on Credit Institutions would help do away with cross ownership in the banking system. At present, no individuals own a stake of more than 5% in a credit institution. The number of credit institutions with cross ownership has dropped from seven in 2012 to two. In addition, the number of banks and enterprises owning their respective shares has dipped from 56 to two. Local companies have played an active role in the process of investigating producers of counterfeit goods using their brands but their efforts have left little impact. The HCMC representative office of the National Office of Intellectual Property of Vietnam, the HCMC Consumer Rights Protection Association, and Vina CHG, an anti-counterfeiting solutions consultant, held a seminar in HCMC on November 21 on how strengthen the fight against goods that infringe intellectual property rights. Tran Thanh Kha, senior head of the Sales and Marketing Division at NGK Spark Plugs (Vietnam) Co Ltd, said his company detected a Hanoi-based shop selling fake spark plugs bearing NGK brand two years ago. But when the company and law enforcement agencies inspected the shop, no counterfeit products were found. “We could not conclude what had actually happened. However, the said case shows how difficult it is to fight fake products,” he stressed. On behalf of Unilever Vietnam, the Vietnam Anti-Counterfeiting and Intellectual Property Protection Association of Foreign Invested Enterprises took many photos of a counterfeit goods production facility using Unilever’s brands, said Nguyen Thi Xuan Lan, the association’s general secretary. As the association informed authorities of the illegal activity of the facility, no evidence was found during an on-site inspection, Lan said, adding this was common now. She also put the capacity of law enforcement agencies into question as their fight against fake goods has not produced as good results as hoped. Kha of NGK Spark Plugs told the Daily on the sidelines of the seminar that producers of genuine goods had been discouraged by these incidents. Vietnam may lose over VND110 trillion in budget revenue in the next three years as a result of new-generation free trade agreements (FTAs), according to the Ministry of Finance. News site Dan Tri cited estimates of the ministry as saying budget revenue losses in 2018, 2019 and 2020 could be VND30.15 trillion, VND36.34 trillion and VND43.97 trillion respectively. Next year, more than 90% of tariff lines in the ASEAN Trade in Goods Agreement (ATIGA) will be cut to 0%. Of these, some products with big tariff revenues are autos, parts, steel, farm produce, tobacco and alcohol. Under the ASEAN-China Free Trade Agreement (ACFTA) and the ASEAN-Korea Free Trade Agreement (AKFTA), over 400 tariff lines with the current rates of 5%, 7% and 10% will also be lowered to zero as from next year. Statistics of the General Department of Vietnam Customs have shown Vietnam’s imports are contributed considerably by China, South Korea and ASEAN countries. As for the Chinese market, Vietnam’s imports and trade deficit have declined. Given falling imports from China, Vietnam has imported more from South Korea and ASEAN countries, mostly machinery, electronic components and autos from the former and machinery, building materials, consumer goods, autos and auto parts from the latter. According to the ministry, Vietnam has signed 10 international trade agreements to attract foreign investments, cut costs, and increase budget collections from domestic sources like corporate income tax, land tax, value added tax and personal income tax. The ten agreements Vietnam has signed are with ASEAN, ASEAN-China, ASEAN-Korea, ASEAN-Australia-New Zealand, ASEAN-India, ASEAN-Japan, Vietnam-Japan, Vietnam-Chile, Vietnam-Korea and Vietnam-Eurasia Economic Union. The fulfillment of FTA commitments will result in a decline in import tax revenue. In the coming time, Vietnam may participate deeper in some new-generation FTAs such as the Regional Comprehensive Economic Partnership (RCEP) and the Comprehensive and Progressive Agreement for the Trans-Pacific Partnership (CPTPP). The HCMC government has given the nod to an extension of Metro Line No.1 to the neighboring provinces of Binh Duong and Dong Nai. The city has written to the two neighboring provinces announcing a plan to prolong the first metro line which now connects the Ben Thanh Market in District 1 and the Suoi Tien Park in District 9, HCMC to Bien Hoa City of Dong Nai and Di An Town of Binh Duong. Dong Nai and Binh Duong authorities have also approved of the plan. An extended section of the metro line linking Suoi Tien, and Dong Nai and Binh Duong, when put into use, will facilitate commuting between HCMC and the two provinces, boosting urban development along the road and reducing congestion in the northeast of HCMC. VND21.234 trillion (US$0.93 billion) will be needed for the extension. Both underground and elevated sections of Metro Line No.1 are under construction. Viaducts of the 17-kilometer-long elevated track from Ba Son station in District 1 to Long Binh station in District 9 have been installed. The entire metro line is scheduled for completion and operation in 2020. The Government has issued Resolution No.121/NQ-CP detailing solutions to shortcomings and difficulties in transforming State-owned enterprises (SOE) into joint-stock concerns, the Government news website reports. To meet the 2017 equitization schedule approved by the Prime Minister, the Government allows SOEs to go public in line with the Government’s Decree 59/2011/ND-CP dated July 18, 2011 until Decree 126/2017/ND-CP takes effect. Those entities that have announced their corporate value but their equitization plans cannot be finalized before January 1, 2018, and those whose equitization plans have been approved but their land use plans have not been passed can continue the process as required by Government Decree No.59. However, their land use plans must be approved before they obtain a business registration certificate for the first time as a joint stock company. Decree No.126, issued on November 16, 2017, will take effect on January 1, 2018. It amends and adds some regulations on forms of equitization, initial public offering, rights and duties of equitized companies, corporate evaluation and policies for laborers in the equitization process. any southern enterprises have paid much attention to information safety but few of them have chosen to outsource the information protection job, according to security experts. At the Vietnam Information Safety Day in HCMC on November 23, Vo Van Khang, vice chairman of the Vietnam Information Security Association (VNISA), said that in a survey of southern enterprises, VNISA found that many of them were concerned about ransomware attacks such as WannaCry. However, only 35.1% of them have used outside information security service although the number of providers of such service surged 62%. Most enterprises are hesitant to let network security firms get access to their data. Meanwhile, small and medium firms that cannot afford to invest in information safety staff and infrastructure. executives and in-house information security teams, instead of working with network security firms. The survey also showed that 68.9% of the firms surveyed have their own information security teams. Besides, 75.7% said they have information safety policy and 72.5% regularly update their security systems. Nguyen Trong Huan from security firm Kaspersky Vietnam said the company has short-term training courses on ransomware analysis and solutions to cyber attacks for small and medium enterprises to improve their capacity to deal with cyber attacks.